Vetrocalm Intense INSTANT by animalife provides horse owners with fast acting targeted nutrition to support a calm and relaxed outlook in horses prone to tension, nerves, excitement or anxiety. Vetrocalm Intense INSTANT is scientifically formulated using an enhancement of the oxygen technology first used in Equine Oxyhsot and is free from banned substances making it particularly useful when equines are faced with intense circumstances such as competition days, new situations and traveling. Horses and ponies administer orally 1 syringe for normal activity or 2 syringes for intense activity up to 30 mins before activity (1/2 amount for small ponies). 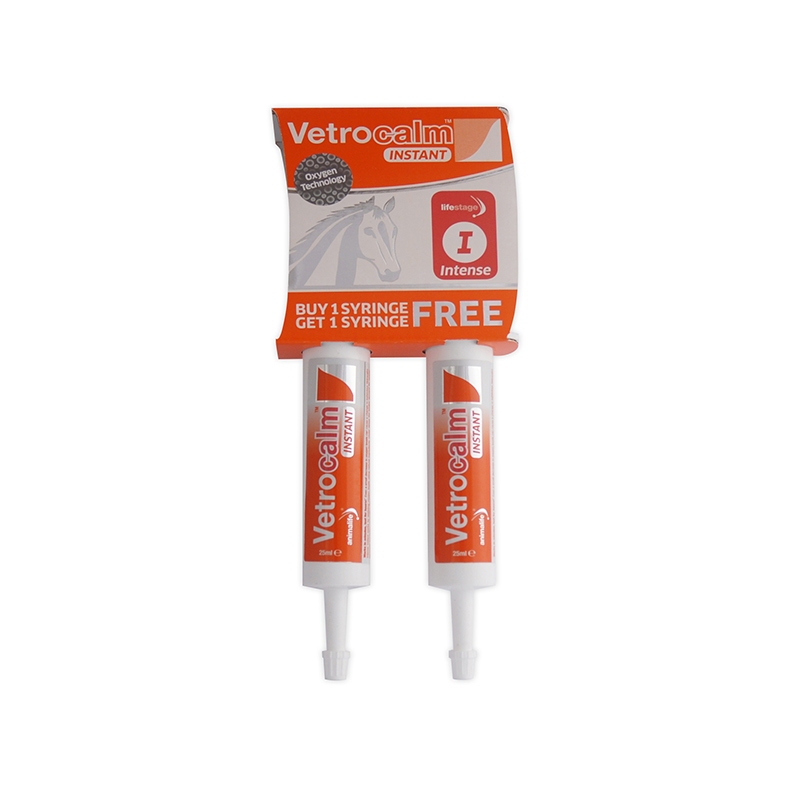 Vetrocalm is more effective the less hard feed present in the horse’s stomach. Following administration restrict your horse’s feed and water for a minimum of 30 minutes to allow absorption. Can be used every 2 – 3 hours.